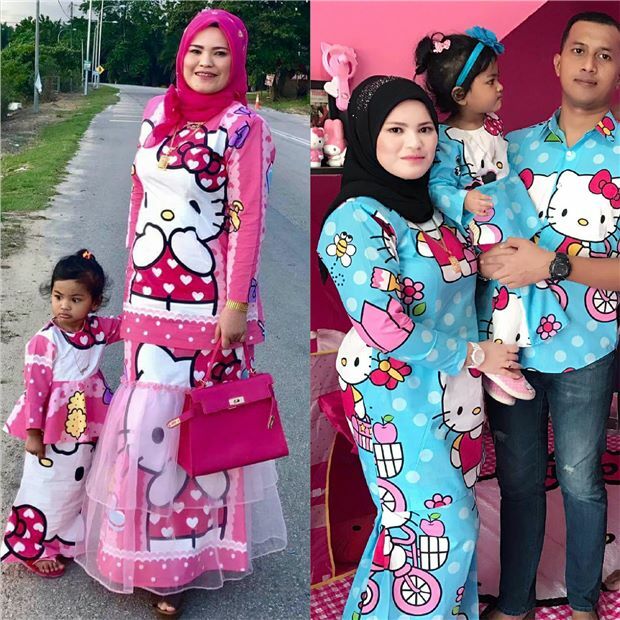 Home / anime / baju raya / celeb / hello kitty / kakak hello kitty / news / viral / Hello Kitty baju kurung sold for RM50,000! Is it worth it? 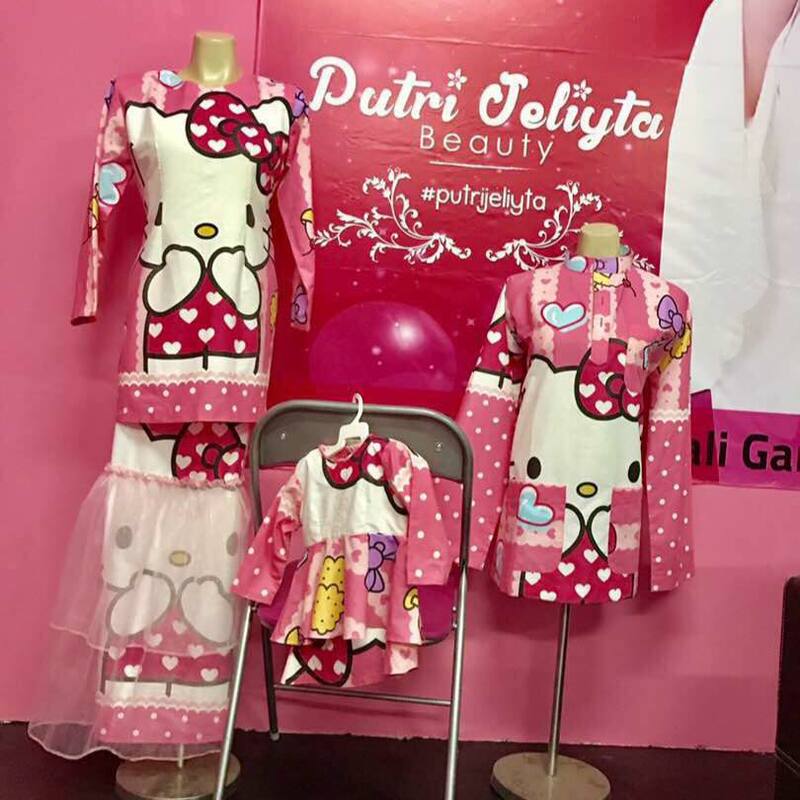 Hello Kitty baju kurung sold for RM50,000! Is it worth it? Who doesn’t love Hello Kitty? The Sanrio character is a staple with the word kawaii (‘Cute’ in Japanese) in Japanese pop culture, and she is a global phenomenon! 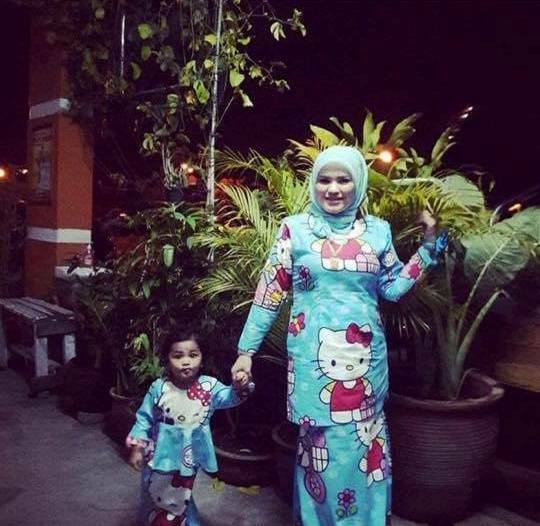 Anything that is inspired after the no-mouth anthropomorphic cat is bound to result in success including this Malaysian-made Hello Kitty-themed baju kurung (Traditional Malay dress), apparently. A Malaysian cosmetic businesswoman by the name of Yus Amina Mohd Zawizah received a windfall when a particular customer who only wishes to be referred as Hajah NN, purchased six pairs of Hello Kitty baju kurung for a whopping price of RM50,000 (That’s around USD12,000)! 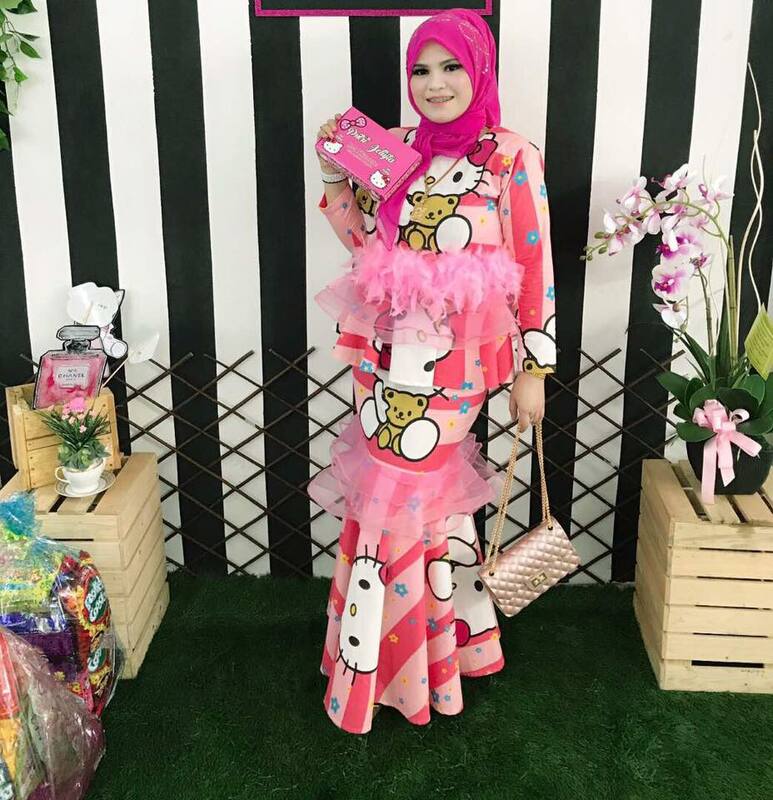 The 27-year-old entrepreneur who is also famously known as Kakak Hello Kitty (‘Kakak’ meaning ‘sister’) told a local daily that the raw materials for the dress which includes English cotton only costs less than RM2,000 – which means that each pair of the clothing was sold for over RM8,000! Back in July during Hari Raya (the religious holiday celebrated by Muslims), Amina gained immense popularity when a photo of her and her daughter wearing matching Hello Kitty dresses went viral on social media. As reported by Malaysian Talk, Amina received many requests and inquiries from fans who wished to purchase her outfit. One of the craziest requests she’d gotten was from a certain Datuk (Malay honorific title) who offered her a blank cheque for it. Back then, Amina refused to sell them due to the sentimental value behind it. 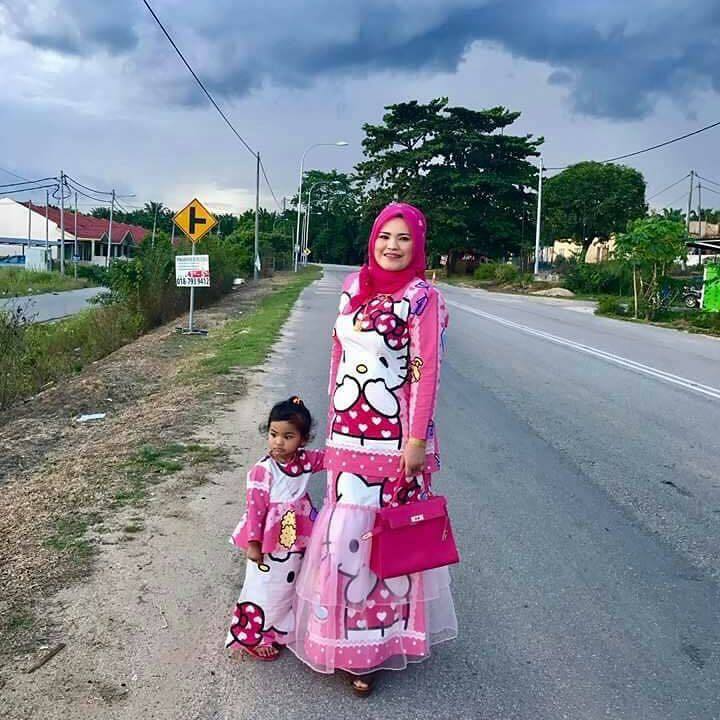 According to Kosmo Online, the baju kurung is for Hajah NN’s daughter who is currently studying abroad and it will become an addition to her boutique collections. 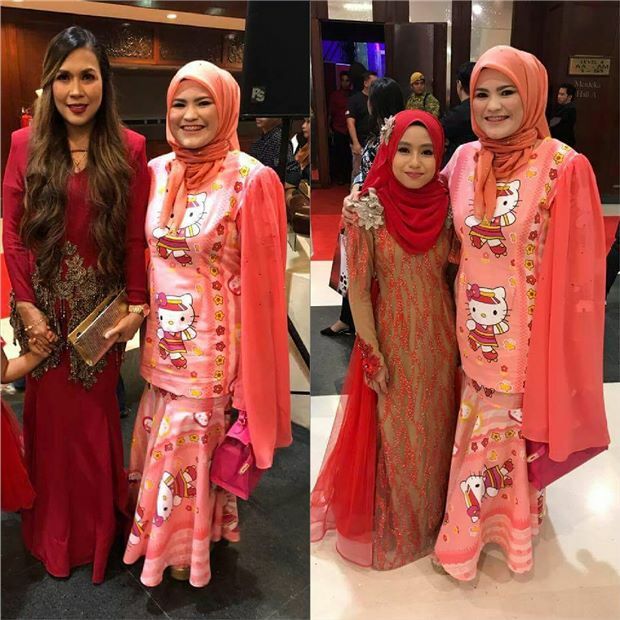 Coincidentally, in April this year, local designer Zabir Arfan also unveiled his very own Hello Kitty-themed baju kurung, but it was condemned by netizens for looking like bed sheets and curtains, but in our opinion, Zabir’s version of the dress looks a lot nicer than Amina’s dress (Again, no offense). 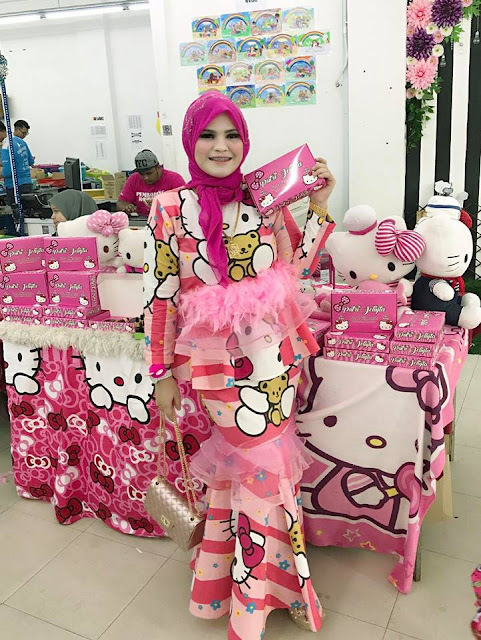 Other than the dresses, Amina also sells Hello Kitty-themed beauty products like facial wash and make-up sets under the brand Putri Jeliyta Beauty (Named after her daughter). 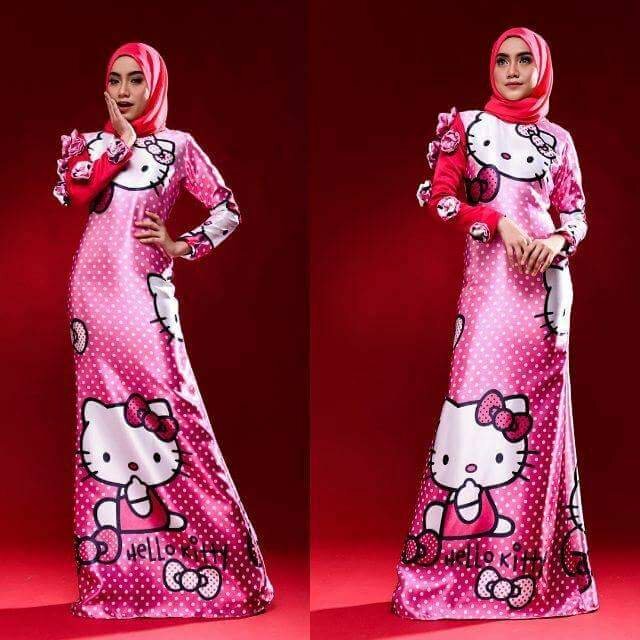 So what do you think of the Hello Kitty baju kurung? Would you be willing to pay thousands for it?